Nowadays, an email marketing campaign is essential for any business to become, and to remain successful. It’s a smart way to communicate with your customers, and can be tailored for any situation. Unlike any other form of marketing, it targets the customer directly and can have a much more personal effect than other traditional marketing methods. However, many businesses fail to use it to its potential. As a result, your marketing campaigns may not be as successful as they could be. Here at Webtron, we offer specialised email direct marketing campaigns for you and your business. We jazz up static or plain-text emails with vibrant designs that are bound to catch your customers eye and promote boosted sales activity within your business. Our team is dedicated to increasing your business’ profits and maintaining a constant level of customer interest, achievable through email direct marketing campaigns, combined with other marketing methods. Despite the recent buzz around social media marketing, direct emails are still considered to have the largest reach, with about 91% of consumers checking their email at least once a day. If you ask just about anyone, they will tell you that they have an email address. Due to the fact that over 36% of the world owns a smartphone, it is even easier to reach your customers anywhere, and anytime with email marketing! 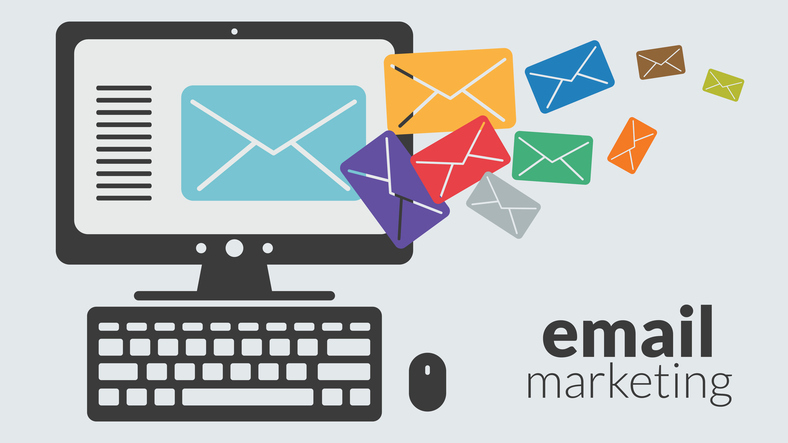 A cost effective way to improve total revenue and overall profits is email marketing. For every $1 you spent email marketing the average return on investment is $44.25! (Email Expert). Email marketing is full of features, one of those being able to analyse your sent emails. In addition, you can also check your email open rates and sales conversions. As a result, this can allow you to experiment with what is most popular with customers and what is not. Want to better engage your customers with email marketing? Contact the experts at Webtron on 1300 932 876 or use the contact form here.